I was looking for a certain room, but the hallway was crammed with chairs of some sort down the middle with people being made to sit down in them. Nurses, or what seemed to be nurses wearing white uniforms were calling people’s names and as people came to them, I realized they were being given shots. I had a very bad feeling about this and started walking faster, looking for a particular room. The numbers on the doors were gold like at a hotel. I heard my name being called and I kept walking. The nurses, both male and female, began shouting out other things that confirmed it was me they were looking for. They seemed to know EVERYTHING about me; my maiden name, my Facebook, other online accounts, where I worked, everything. I tried to walk past a man wearing green surgical scrubs with a mask, but he tried to grab me. I rushed past hundreds of people getting shots in their upper arms, but it was like after they received the shot, they only cared about sitting and no longer struggled. Before getting the shot, some tried to fight the nurses off and cried, but whatever was in the shot seemed to make them like shells of their former selves so they just sat there, bodies limp, no longer making any sounds or moving. I felt like whatever was in that shot was so dangerous that I must keep going and looking for that room. I felt like whoever was inside it were people I knew, possibly my husband and family. The last thing I remember was grabbing a door knob and opening it, hoping it was the right room and not more people trying to make me have the injection. Then I woke up. Jacqui E. was born and raised most of her life as a Jehovah’s Witness, but her love for God and the Bible kept her doubting many of the things she had been taught. In November of 2011, she became a born-again believer in Christ and began hearing from the Lord soon afterwards and having dreams. Her earnest desire is to lead others to Jesus and to warn the Bride to wake up to the things that are soon to come. ( they looked like skulls) can be found on YouTube The official Hagmann and Hagmann report -Dan Duval- Demon Possession dated Sept. 21, 2015. Pictures start at 1:05:00. I hope this is helpful. You are not alone. Dr. Walters, did you examine the object take n from your forehead? And how do you explain the object in your hand? Could demonic spirits be involved? Kyle, you and I don’ t control what they put into vaccines. In addition to toxins and bio engineered substances they put metals foe example aluminium. 600,60 and 6 in Hebrew resembles a square a circle and a rectangle. Put the rectangle inside the circle and the circle inside the square and you have something that looks amazingly similar to a mini USB female socket type B. These external sockets will be for imputing and outputting signals from the brain to the computer and the unsaved will flock for this technology. For the pleasure they will receive, they will be controlled, and become nothing but chip junkie cyborgs incapable of doing anything except being obedient. Ok I’ll bite – hey everyone I heard that vaccines are dead or weakened diseases which allow the human body to develop antibodies in order to fight off the real thing. Can someone please explain why people think this is social engineering or population control by some shadowy group? He mentioned new vaccines, health care, and reproductive options. I sounds like he’s rolling contraception and abortion together to reduce population by 15% – so basically repackaging the same old eugenics arguments. Regardless, it sounds like the “new” vaccines he’s referring to are the contraceptive ones that prevent pregnancy. My husband had a dream in 2012 that I immediately thought of when I read this. I wrote the dream down in my journal because many times, my husband’s dreams come true and God seems to speak to him like this. In his dream, he was reading an article in the newspaper that showed a picture of a sign placed in travel locations, such as airports, train and bus stations (My husband is a pilot). The sign read “NTSB Finds Risk Necessary”. There was a transmittable disease among people and this vaccination was required to travel, even though this vaccination had adverse affects on people. He knew that in order to travel, you had to receive this vaccination, but the vaccination was dangerous! I wonder if God gave this dream to my husband because he is a pilot and may have to deal with this at some time in the future. I also see the dream as more symbolic and showing how far we are in troubling times. The injections go into the bloodstream. We can pray that all our friends and loved ones experience Christ and His love through His cleansing blood in the deepest level of their being. Our allegiance is to Christ and the transformation He works in us by His life-giving word is at the subatomic level. Vaccinations are part of the elite’s soft-kill population control agenda. They are also conditioning people to one day receive the mark of the beast. I am also reminded of Katherine Baxter’s revelations of Hell and of the End Times when she saw in a dream / vision someone who was panicky and stressed out and who went to see the ‘world medical system – AC’ for help and when she came out of this ‘office’ she was emotionless and like a zombie…. I don’t know if you remember a few years ago the so called H1N1 pandemy but Governments across the globe were getting ready to make it mandatory for everyone to get the vaccine… Even the military was going to be mobilized to make sure everyone gets it… But interesting enough ‘those in charge’ (elites) we’re not going to be administered vaccines …. Isn’t that interesting… So yes, I totally agree with you Mike. Vaccinations are part of the elite’s soft-kill population agenda. So I made up my mind I will not get vaccinated. 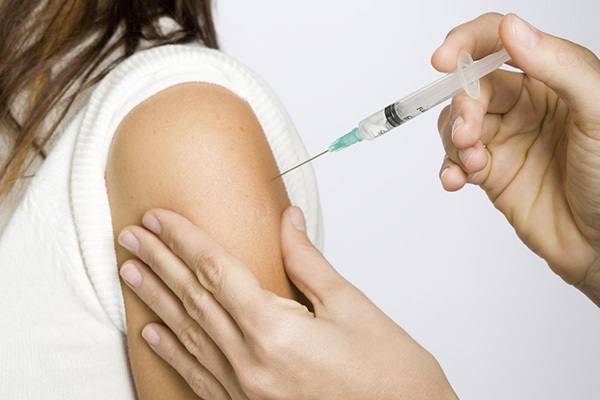 But if I ever get vaccinated by force, I will be praying that it has not effect on me… Standing on the Word of Jesus that ” they will take up serpents and if they drink any deadly thing it will by no means hurt them” (Mark 16,18). What struck me about this dream was the recipients were struggling and fighting, then stopped and no longer cared. The feeling I got when I read this is not that this is about the mark or literal vaccines, but it is about a coordinated effort by the enemy to make people docile. They’re fighting against something then they stop. The feeling I get here is that this dream may refer to professing believers no longer caring and giving up on their faith/fight. Perhaps it has something to do with them knowing everything about people and hitting them with some attack of shame, lies that causes them to become hopeless. If this is the case, repentance, forgiveness of others/self, and a solid walk w Jesus is the cure. I don’t know if this is fact but i heard most muslims do not take mandatory injections because of religios beliefs. If that is true they will not be zombie like some of America will be. Last time I was at the Dr. She wanted to load me up on all kinds of vaccines and i am 61 years old. It gave me pause because I thought she was a christian.